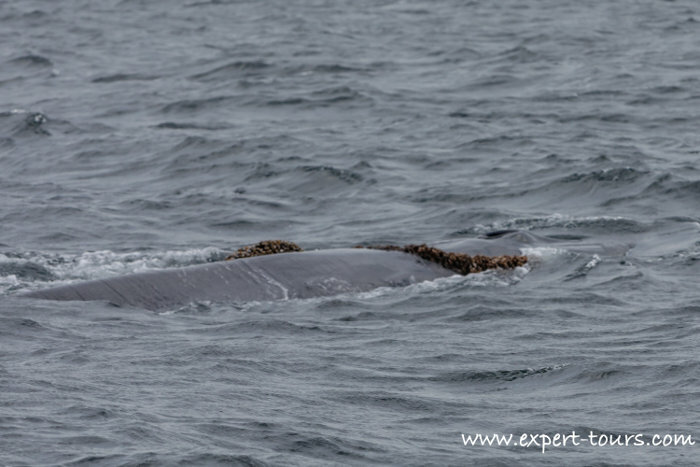 Please keep your eyes peeled for this Entangled Brydes Whale last spotted on it’s way towards Bird Island. Expert Tours reports that at about 11.00am on Sunday 24 March 2019 at around 33.59.086 and 25.46.219 this Brydes Whale was spotted heading North East towards Bird Island swimming at about 5 knots with a 5 minute dive interval. Unfortunately after following the Brydes whale for about an hour the film crew on the Expert Tours vessel lost sight of the whale. At the time there were around 9 whales in the area making identifying the stricken whale in the difficult conditions and rapidly rising wind very difficult. It appeared the Rope or net was hampering the whale to a very large extent as it appeared to be breathing heavily and tired. The Exper Tours crew were joined by the NSRI from Station 6 and together they could not spot the whale with the gale force winds rising. If you do spot the whale please contact NSRI immediately or let AB MArine know via their contact form HERE.